I was supposed to be Vincent Price from The Tomb of Ligeia. in the process. Sneaky way to get a couple's costume. November 3, 2015 — I know, I know. You’re on to watching Hallmark Channel Christmas movie marathons and imagining novel ways to prepare turkeys to impress your family. You’re done with Halloween. With zombie makeup and rubber spiders. With chemical fogs and Dracula impressions. I’m right there with you…-ish. But I still need to throw the last spadeful of dirt onto the 2015 OTIS Halloween Season. These past few days of dragging my feet are partly for decompression reasons. Unpacking. Remembering routines. Organizing all my photos and notes. But it’s also because I don’t want to cap off this year’s strange, strange Halloween Season. It’s rough calling it over. I’ve never had a Halloween Season like this one. Never had an October like this one. Never had any month like this past one. But we did it. 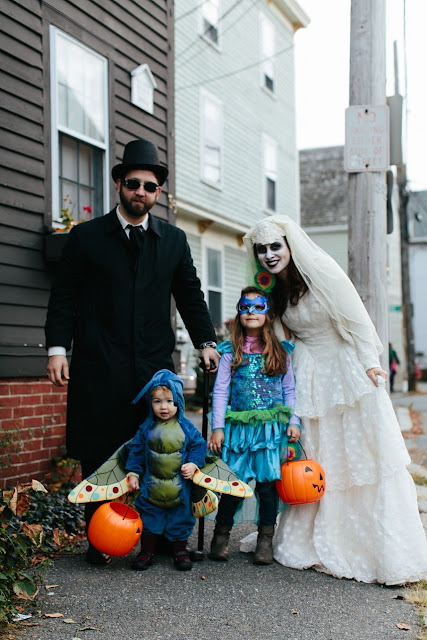 My family and I lived for all of October—31 days—in Halloween City itself—Salem, Massachusetts, all culminating in a record-breaking Halloween where 100,000 people flocked to the Witch City. And I can’t tell you too much about it. Because it has to go in the book. It was a season of seasons, though. But what about the rest of the 2015 OTIS Halloween Season blog? That wasn’t too shabby, right? 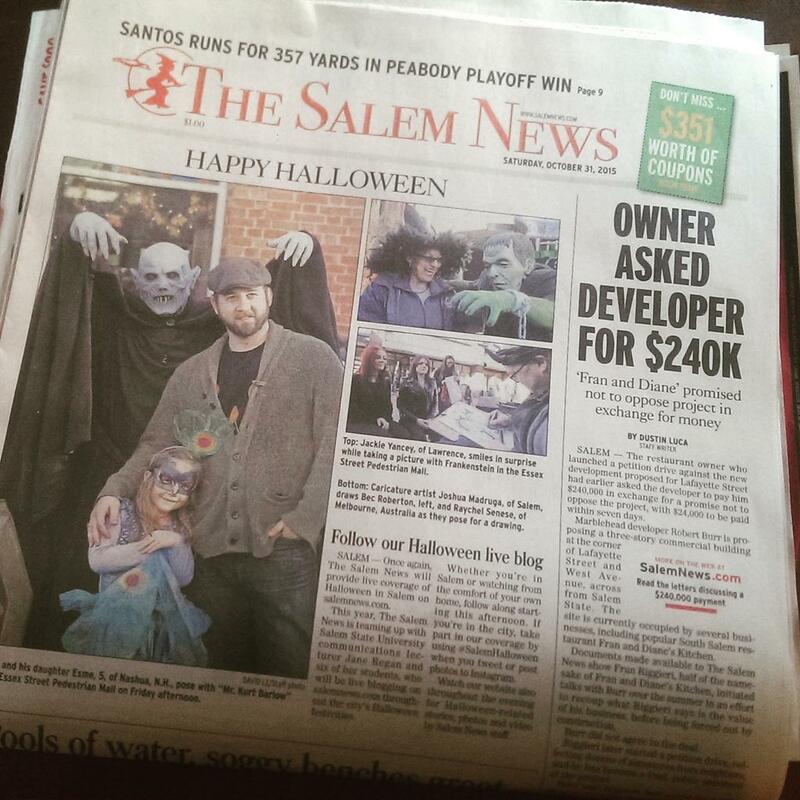 After all, only eight articles of about 40 on the blog centered on Salem (not counting the machine-gun fire of photos from my socials, which is where most of my Salem reports resided this year). Like the mystery of The Good Son well. Talking to Paul Clemens. Hating Halloween III. The Burger King Halloween Whopper, which I still believe in, dammit. We also got a little personal with how I became a horror fan and offering you a peek into my private Ray Bradbury collection. We learned about Halloween dog food, met Jerry the hearse driver, reinvented Pee-Wee’s Big Adventure as a Halloween movie, discovered where Jack Skellington is buried, introduced one of my favorite graves in all New England, and celebrated five years of the Halloween Season blog. And despite the Salem focus, we even got some Sleepy Hollow love in there. But so many things that I experienced and observed in October I need to save for the Salem book or for next year’s OTIS Halloween Season when I’m marketing the Salem book. Like Halloween night. Winter Island. Listening to ghost stories at Thackery Binx’s cabin. The New England Pirate Museum. Costume parties. 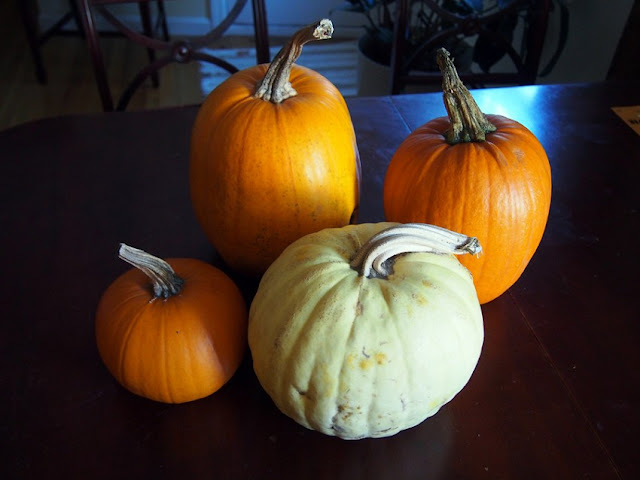 The epic quest to find carving pumpkins on October 30 when everything was stocked for Christmas. Man, do I need to tell you about this day. 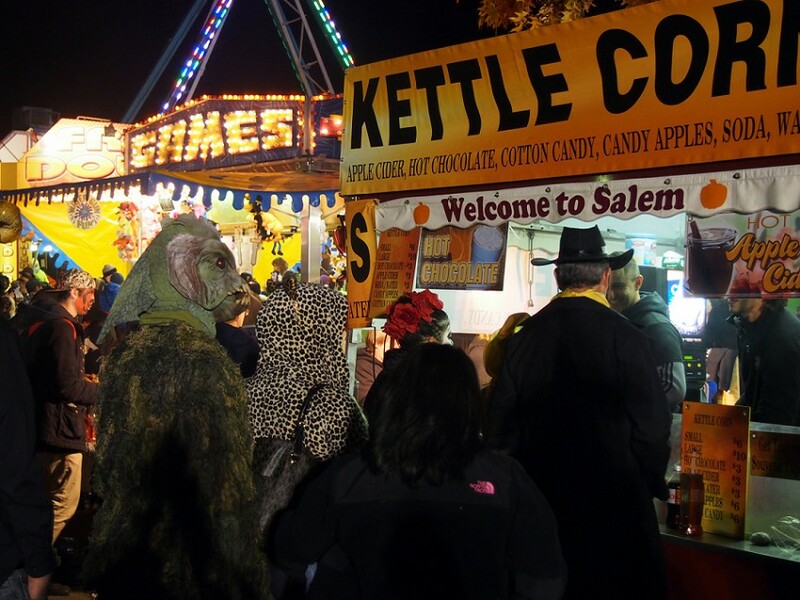 But as amazing as our Salem Halloween Season was, I’ve gotta be honest. I missed my regular Halloween Season. My cozy-on-my-own-couch, surrounded-by-glowing-orange-things, horror-movie-watching Halloween Season. My road trips and trips to the seasonal aisles of my local stores Halloween Season. See, I didn’t do much of that once October 1 rolled around, because every second I was on point. I was afraid of taking a break for fear I’d miss the ultimate costume on the Essex Pedestrian Mall or forget to jot down my notes every night. 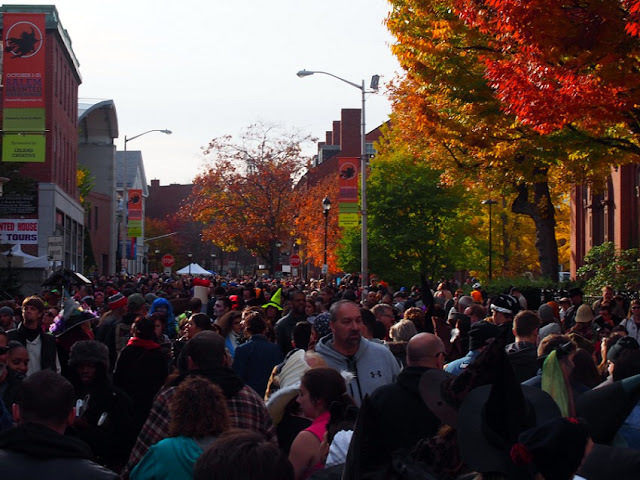 I had to be out there on the streets and in the attractions of Salem as often as I could be. I had to be checking off things from my list, from my spreadsheets, from my maps. I had to talk to people. It was a working holiday for me. More than usual, anyway. But so, so, so worth it. I reserve the right to use this photo again and again and again and again. But the camaraderie you guys gave me and mine along the way was great. Thanks everybody who followed along on the socials or hit up the website. Those who shared the posts with friends and strangers. Those who came to visit me in Salem or who accidentally ran into me randomly in the street. I don’t know how writing this book will go over the next four months. I’ll need to kindle some small flame of Halloween even while celebrating dead turkeys and dead trees and burials of snow. I’ll figure that out. But I do know this: I have never been this ready for Christmas in my entire life. Happy Halloween to all of you, late as it is. We’ll do it again come 2016. After all, we don’t want to waste these few precious years that rhyme with the name of the holiday.